Home of Mustafa Kemal Ataturk and the business life of Turkey. With all the embassies and major business associations you will find, this just like any big city in the world. The Ataturk Museum and the kalici are both nice tourist sites but if not here for business we do try to avoid this for long stays. Does offer a lot of nice restaruants. Ankara is the city selected by Mustafa Kemal Atatürk, the republic's founder, to house the capital of the newly politically defined country. Though thoroughly modern in appearance, Ankara's history and that of the surrounding area dates back to the Bronze Age and the Hatti civilisation. In the second millennium B.C. the Hittites followed as lords of the land and were succeeded in turn by the Phrygians, Lydians and Persians. In the third century B.C., the Galatians, a Celtic race, made Ankara their capital. It was then known as Ancyra, meaning anchor. The Romans and then the Byzantines held this strategic expanse of land until 1073 when the Seljuk Turks commanded by Alpaslan conquered it. Just over three centuries later in 1402, the city, then but a small outpost, passed into the hands of the Ottomans led by Beyazit I. The hotel is conveniently situated in the business sector and is within easy reach of all transport links and very near the Ataturk Museum. Rooms are very comfortable and large and because they cater to business travelers you will find service efficient. 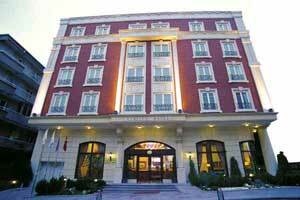 Gordion Hotel is superbly located at the heart of the city. 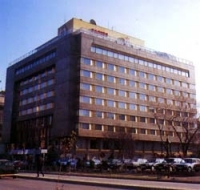 All the state institutions, ministries, embassies and business quarters lay minutes away from the hotel. The moment you set your foot out of the hotel, you are on the most fashionable and lively street of "Tunalý Hilmi" with numerous cafes, restaurants and exclusive shops with famous brands.